One of the earliest stages of gum disease is gingivitis. Gingivitis causes the gums to become swollen and bleed due to the toxins, enzymes and plaque byproducts that are created. In order for your gums to return to a healthy state, treatment from Dr. King is required in addition to proper oral hygiene. When the bone tissue starts to deteriorate, this is known as a form of gum disease called Periodontitis. This happens when the byproducts of plaque attack the tissues that hold your teeth to the bone. The gums begin falling away from the teeth and form pockets in the gums which allows more plaque to collect below the gum line. When this occurs, the patient becomes more sensitive to hot and cold and the roots of the teeth are more vulnerable to decay. 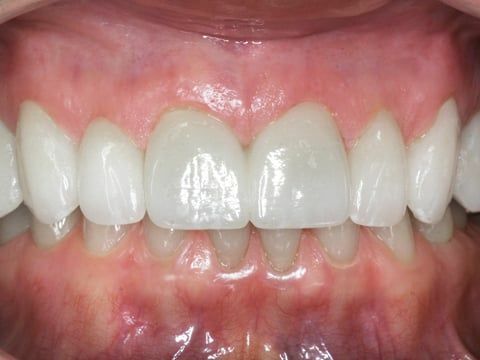 With severe periodontitis, a radical amount of gum tissue and bone tissue is lost. Usually, teeth lose more support as the disease continues to destroy the periodontal ligament and bone. Teeth become loose and may even need to be extracted. This causes difficulties in normal everyday chewing and biting habits. If advanced periodontal disease is left untreated, patients run the risk of other serious health problems. After dental treatment, some teeth may be more sensitive because this is their way of dealing with injury. Injuries to teeth such as cavities, gum infection and jaw clenching can damage the nerves in a tooth. The sensitivity should not last long after treatment as long as your teeth are kept clean, otherwise the sensitivity is likely to get worse. If your teeth are ever extra sensitive, please consult with Dr. King as this could be a sign that you need a root canal or gum tissue treatment.